For the discerning user, the Sky X7E2 provides a perfect balance of power and reliability. 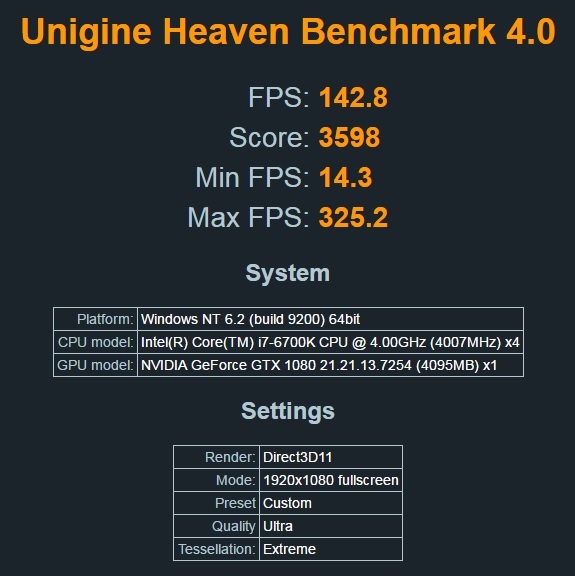 This all-round performer will run the most demanding games and professional software while keeping its cool. The unlocked Skylake 6700K Intel i7 Processor will ensure you get the most you of your machine. Your choice of the most advanced NVIDIA GeForce 10-series graphics cards released to date (GeForce GTX 1060, GTX 1070, or GTX 1080), will ensure you get the most out of your games and/or professional software. Designed to give you the most bang for your buck, the Sky X7E2 offers you a choice of IPS displays from Full HD with G-Sync to a 4K UltraHD display, you can choose which 17.3 inch viewing experience suits your needs the best. The system memory choices available are extensive as well from 8 GB all the way up to 64 GB of DDR4 memory to ensure your machine will perform the way you want it to. External hard drives are a thing of the past with the X7E2’s massive storage options: space for up to 4 storage drives (two 2.5-inch HDD/SDD and two M.2 PCI x2/x4 NVMe SSD, up to 10TB of total storage). But don’t worry, all of your data will be kept secure with the X7E’s built-in TPM encryption and a built-in fingerprint reader. 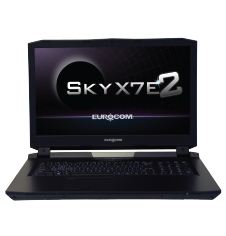 The Sky X7E2 will handle any challenge you throw at it without breaking a sweat, thanks to Eurocom’s cutting-edge thermal solution. Industrial grade heatsinks, powerful centripetal fans, and a multi-layered motherboard system will ensure maximum thermal efficiency and the lowest possible temperatures. The socketed design of this motherboard will ensure that you continue to get the most bang for your buck when you decide to upgrade the components of your machine. But don’t worry – you won’t need to for a long time! Finally, the Sky X7E2’s multi 7-colour backlit keyboard with dedicated lighting software will make every keystroke a pleasure whether you are fighting your way to victory in the latest games, or putting the finishing touches on your latest work project.